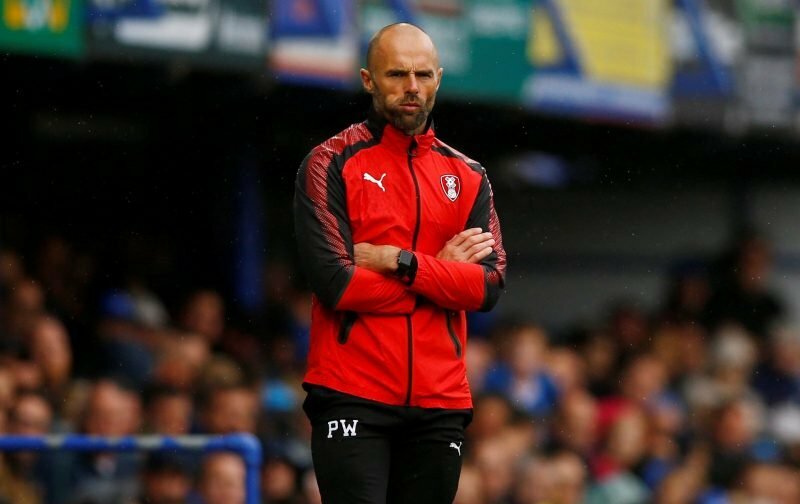 Rotherham United Manager Paul Warne told Radio Sheffield that his team didn’t look as sharp this afternoon as they had done in recent works after the three-one away loss to Birmingham City. And he’s not wrong. We huffed and puffed through the first half and, actually, I thought, made it quite an easy forty-five minutes for the host side. I thought the team looked fatigued from the first few minutes and weren’t running around and getting into space or causing their opponents many problems. Yes, we have had three tough games in a week and yes we are down to the bare bones with the injured with Warney saying there were two who started today (Michael Smith and Ryan Manning) who weren’t fit as well as Kyle Vassell coming on ten minutes into the second half whose only had one days training in three weeks, but I did feel today for the first time since the opening day of the season when we went two down, the heads dropped. And that’s not a Paul Warne type of player. I also felt at times that we weren’t only playing just one up front we were also playing one at the back in Semi Ajayi while the other eight players didn’t appear to know where each other was with passes not going anywhere near a yellow and blue shirted player. I also think we gave City all three goals. We stood watching instead of marking. I don’t think we won many of our one-on-one challenges. Saying that I did wonder if, when Jon Taylor’s goal went in on seventy-seven minutes, if we could just push to get two more goals. We had chances but didn’t take them – again. So, for once, I think this International break has come at the right time for the Millers and let’s hope we get at least some of our walking wounded back fit for our next game.